SCSBA Affiliates are boards that govern South Carolina publically-supported educational institutions (career and technology centers, special schools, and county boards of education). To join or renew for Fiscal Year 2018-19, please click here. Download the Affiliate Membership flyer in PDF file format. For more information, contact Gwen Hampton, Director of Leadership Development. 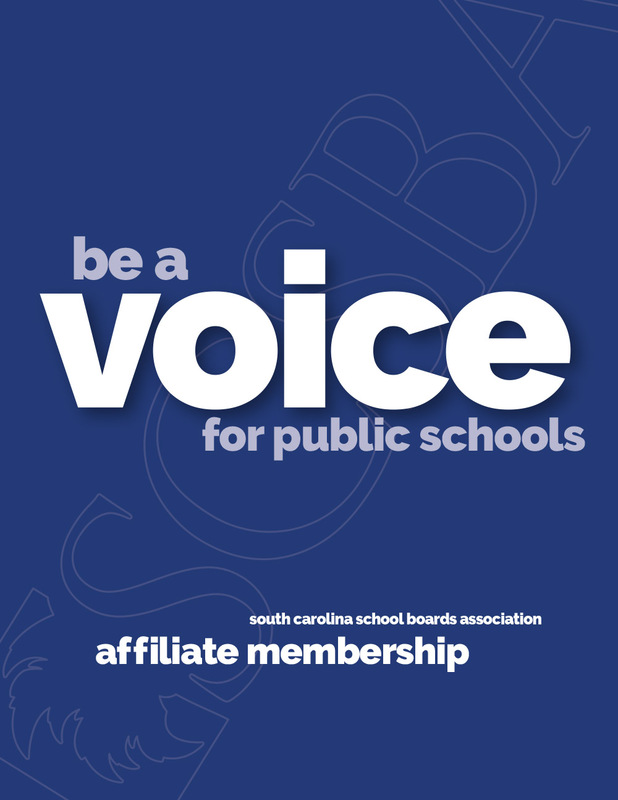 The Affiliate Member Program is open to boards of South Carolina’s publicly supported educational institutions that are not designated as school districts. These may include, but not limited to, boards of vocational or career education centers, state-supported public institutions and county boards of education. Subscriptions to SCSBA electronic publications, including the popular news clipping service, eFocus newsletter, Legislative Update, and other special issue publications. Participation in the SCSBA Boardmanship Institute providing credits to board members attending statewide training workshops.